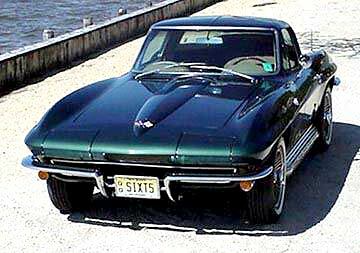 Big Block engines made their entrance in the 1965 Corvette with a L78 396 CID / 425 HP engine. Disc brakes on all four wheels became standard in 1965. Some drum brakes however, were optional to reduce cost. More options in 1965 were side pipes, teakwood steering wheel, telescopic steering and goldwall tires.